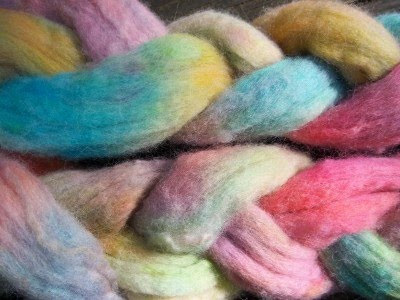 The Yarnspinner's Tales Podcast group on Ravelry is doing an April spin along focusing on locks. 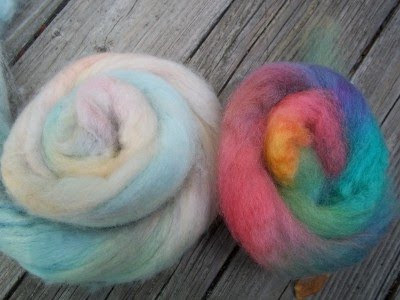 Here are some Merino locks I washed last summer. I have slowly but surely been spinning from the bag of locks all winter but I am not happy with the results. I was never really sure of what I was doing. There is little information out there on the process, so I was making it up as I went. 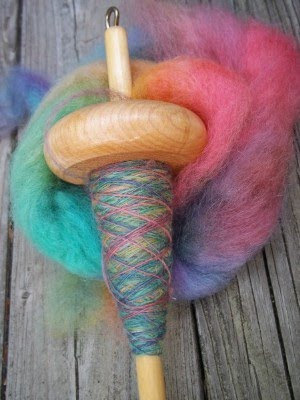 The Yarnspinner herself, posted a You Tube video here to show how it should be done. The first thing I noticed was how clean her locks looked. The fiber slipped past itself with little effort. My locks were still a bit too sticky so I took the chance of giving the last remaining few another bath. 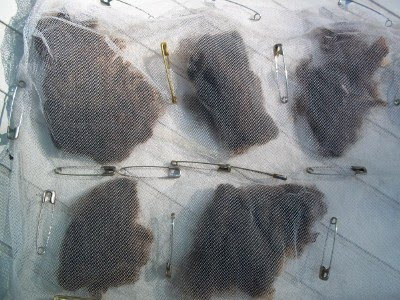 First I pinned them in net to hold their shape. Then I gave them a good soak in very hot water. 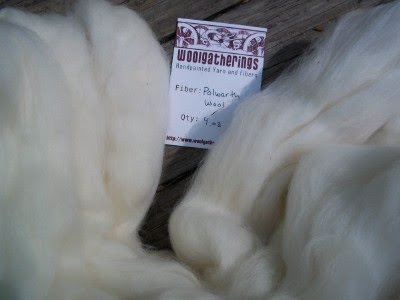 I used a wool scour-Kookaburra Scour to be exact. Right now the locks are drying. It will be a few days before I will be able to tell if there will be any improvement. In the meantime, I am going to keep studying that video. 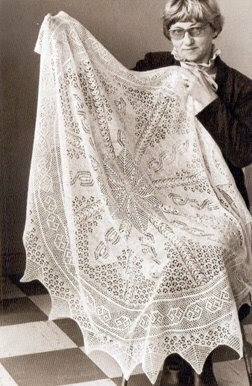 In case you missed this in Knitting Daily, here is Margaret Stove and the shawl she was commissioned to spin and knit for Prince William's birth. All I have to say is...damn. 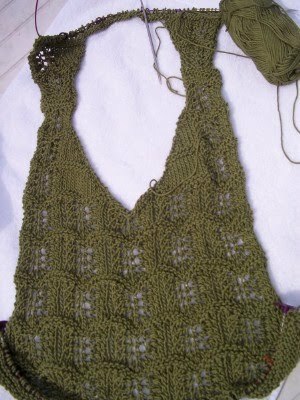 Now that my 2011 S&W shawl is done, I'd like to see if I can finish this lacy tank I started last year in hopes of wearing it to the festival. I saw lots of gorgeous ones walking around the fairgrounds and it gave me a bad case of lace envy. This Crest of the Wave tank from Elann is not going to give anyone a case of envy. It's pretty awful. I don't even think it fits, but I want to see if I can finish it just the same. I am dragging it around wherever I go to get a row or two in because I am sick of working on it. It's not even good TV knitting anymore. As you can see, I just couldn't leave well enough alone. 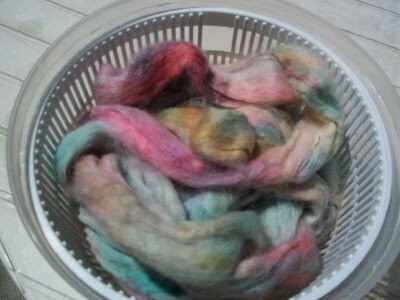 I just had to dye that pale Polwarth again. 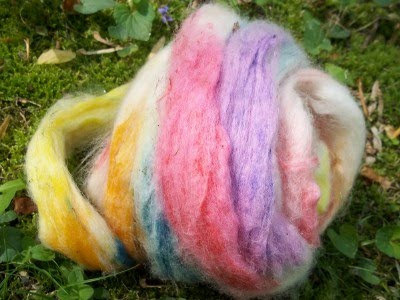 What sealed this wool's fate was finding the last remaining bit of my 2009 Easter egg dyed wool. This year's is on the left, 2009 is on the right. 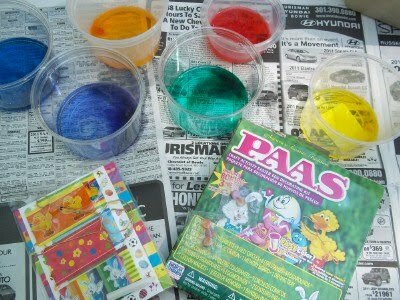 It's the same dye brand, in the same vinegar/water mix but the results are not even close. 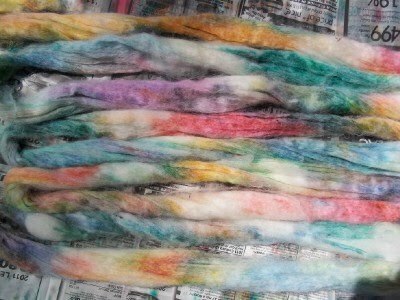 I had to dig the old wool and spindle out of exile. I am not sure what my intentions were here. 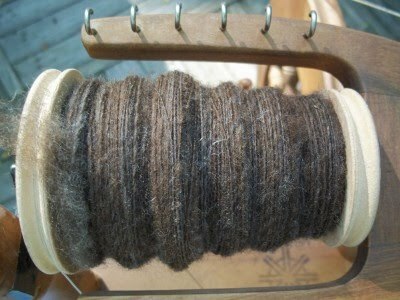 I suspect I was just spinning it to spin with no actual project in mind. 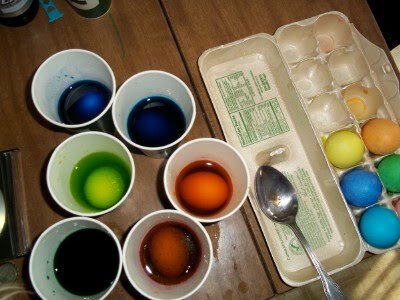 I mixed another batch of the same egg dye and this time left out the water. 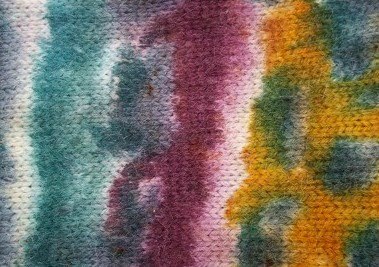 I tried to get the same colors to cover the same colors which was not easy with the mish mash it had all become. The colors are a bit deeper but it still does not rival 2009. 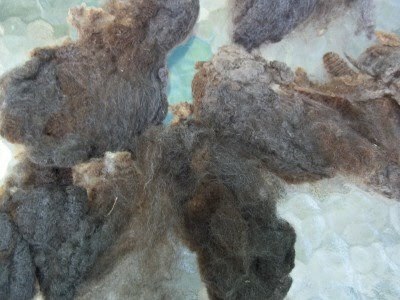 The other variable, of course is the wool. 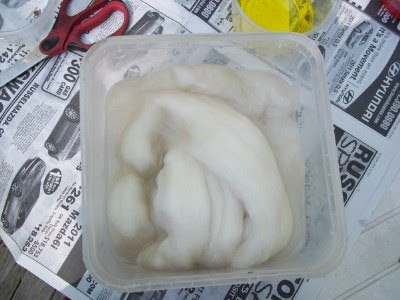 I know what I dyed on Sunday but I have no idea what that other stuff is. 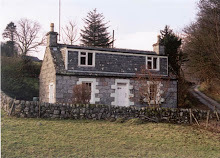 What I do know is that the poor Polwarth has been through quite enough. It deserves a good, long rest. 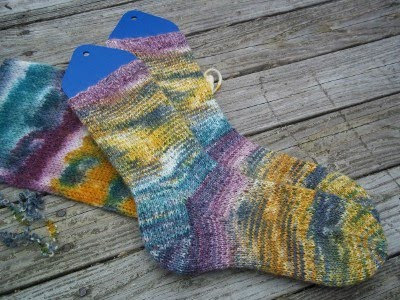 When you use egg dye on wool you shouldn't be surprised when you get Easter egg colored wool. There are some lovely subtle things happening here but the overall impression is...meh. 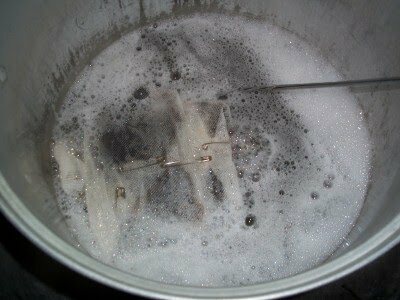 The steaming and rinsing left it rather pale. 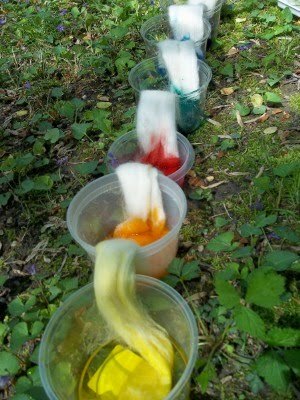 Egg dye is not what it used to be. I just know I'll be making some changes. 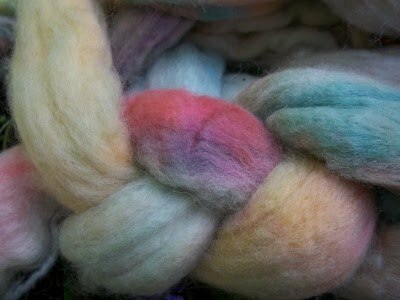 This poor 4 ounces of Polwarth from Woolgatherings was doomed from the start. I really shouldn't even be putting their link here. I don't want them to see what I did to their lovely wool. Every Easter I buy some dye and plan an attack on some of my giant stash of white stuff. I found some quiet time on Easter morning so I got to work. First, I gave it a good soak. I should have stopped right here. This year I decided to snake it out on the violets for mess free dripping. 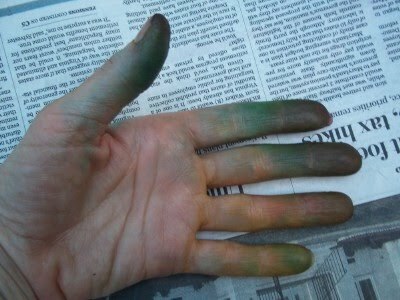 I put it in the dye, thinking I was making a rainbow but instead I accidentily mixed up ROY and did YOR. Not good. Not good at all. Red mixes well with violet, not well with green. I left lots of white for the inevitable dripping and at first it was not too terrible but I knew better. The colors that shouldn't have mingled, mingled and of course the ones that I wanted to mix didn't. This is pre-steaming so it's only going to get worse. Oh well....there is always next year. 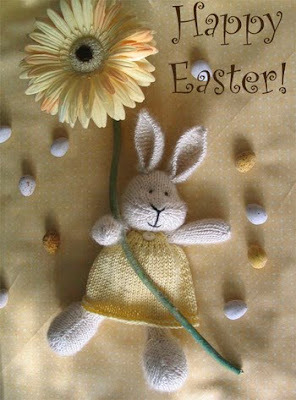 I had to share this photo that I found on the lovely blog Little Cotton Rabbits. If you want to get in an Easter frame of mind, hop on over! At our house, Easter was a bit of a wash this year because we had to pick Daughter up at the airport in Baltimore at 1:30. She was returning home after a friend's weekend wedding in Arizona. I did manage to dye a few eggs and throw a few jelly beans in a basket last night. We are not a completely bunny-free zone this year, but it's pretty close. 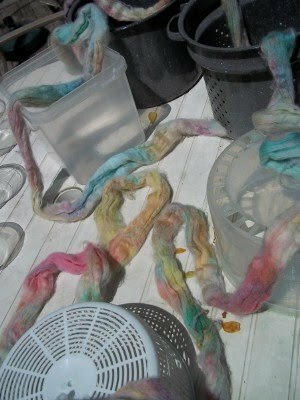 I DO plan on dyeing some wool in the leftover dye as I always do, but that will have to wait. I may carve out a spare minute or two but not until later in the week. 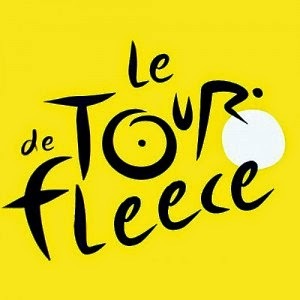 With exactly two weeks to go, I can breathe a big sigh of relief. 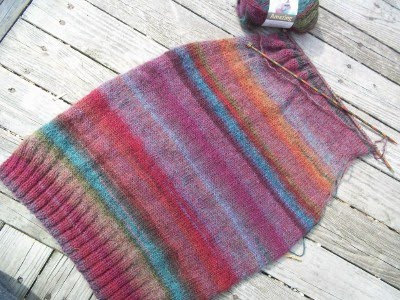 My 2011 MD Sheep and Wool shawl is officially DONE. 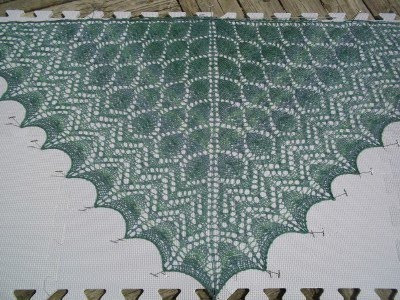 It is the Leaf and Ripple patterns from Evelyn Clark's Knitting Lace Triangles. It is only 4 repeats of Leaf and 1 repeat of Ripple. I love it. It's much bigger than I thought. I wanted a shawlette but it blocked out to be a shawl. I could have even pulled it out a bit further but I was too lazy to go get the rest of my blocking mats. I am not getting too fussy about something that most likely will be shoved in my bag for most of the day. May weather in Maryland is not for wool-shawls or anything else. I always feel sorry for the sheep. They've just got to be miserable. So far, spring around here has been a roller coaster of hot and cold. I hope we find ourselves back in the cold on May 7th. I really don't want to relive last years high 90's. I will remember that transitions are a part of the pattern and not additional rows. Although I have A LOT of knitting projects that need work, I seem to be finding myself in front of the sewing machine more and more. So much more, in fact, I bought another one this weekend. I should say I ordered one this weekend. While I am waiting for its arrival, me and the old machine are at work on Sister's apron. She fell in love with this material on a shopping trip to replenish Daddio's quilting stash last week. The old man can iron and sew a straight seem, so tomorrow he is going to help me get this started. 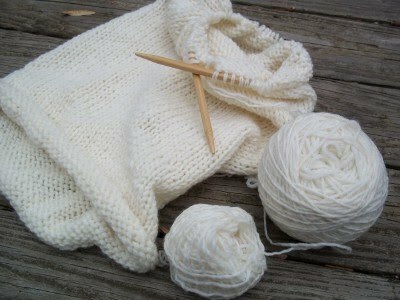 We have not had Knit Night for two weeks now due to spring break. It's just as well. I needed the time to get my act together. 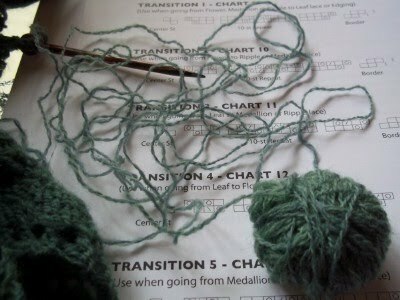 The last Knit Night was not very productive-knit wise. 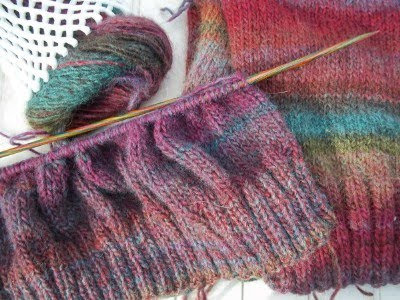 First of all, I spent a lot of time that evening casting on the front of my pullover and knitting the 3 inches of ribbing only to find out later that I had used the wrong size needles. I had to rip it all out and start again. I am also not loving the color blocks. The front and back look like totally different yarn. 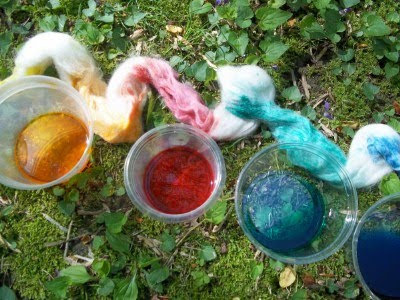 Same dye lot. I checked. 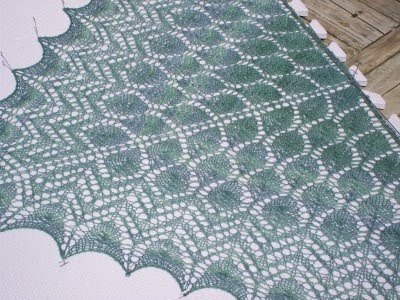 Then I discovered I had given Miss Prodigy the wrong directions for starting her Gail/AKA Nightsong shawl. I had told her to add in a center stitch when there is no center stitch. There is a center stitch column on the chart but no actual center stitch. That took a long time for me to wrap my brain around so I spent the last week pouring through the pages and pages of Ravelry notes on this particularly difficult shawl in order to be of better help. I actually ended up casting on one myself just to work out the bugs. 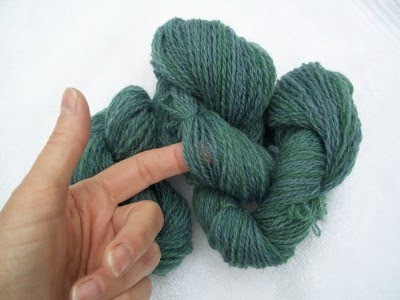 Did I mention there are double yarnovers? There sure are-and lots of other weird stuff going on here. I am not sure I am going to finish this anytime soon but I have sure learned a lot about reading charts. I was very happy to finally get these done. 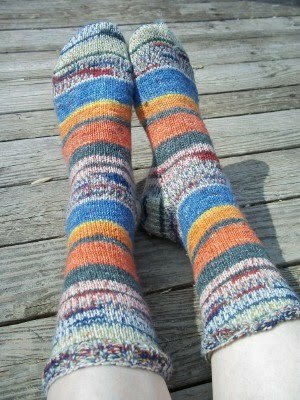 I have to admit to having a bad case of second sock syndrome. It is a lovely pattern but I ran out of enthusiasm once the season changed from shoes and socks temperatures to flip flop weather. I'm packing these up for now-but I'll be pulling them out first next fall. 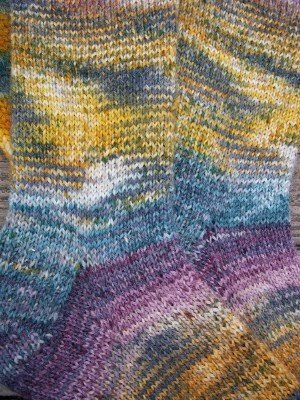 I miss knitting from a sock blank. I miss using the magic loop. I still have along way to go on this one but I have plans.....big plans. 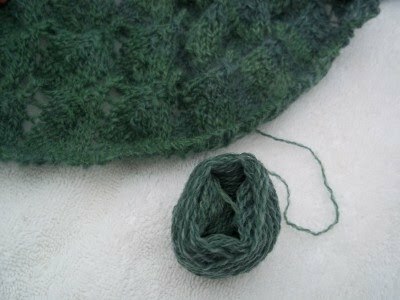 I got very nervous when I only had this much yarn to work with on this year's Sheep and Wool Shawl. 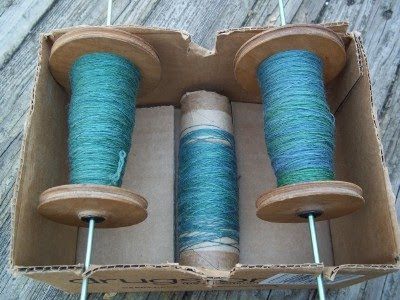 Thanks to the Elizabeth Taylor marathon on TCM, I got all the newly spun singles plied. 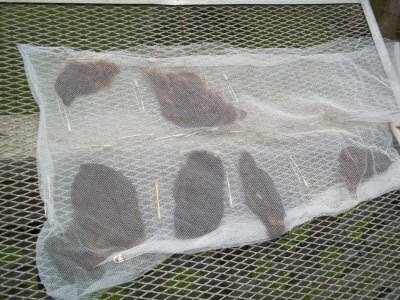 Now they are dry and ready to go. I need one more good movie marathon to get this thing done. 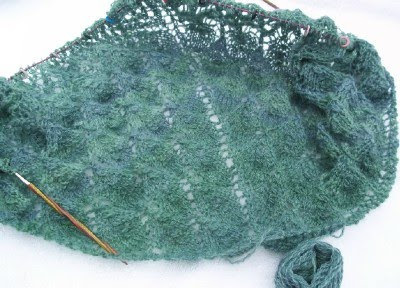 It is so easy to start a shawl and so hard to put on those last few long rows. 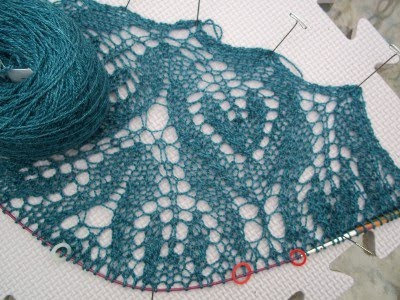 Of course there is the anticipation of blocking. That helps to keep you going. 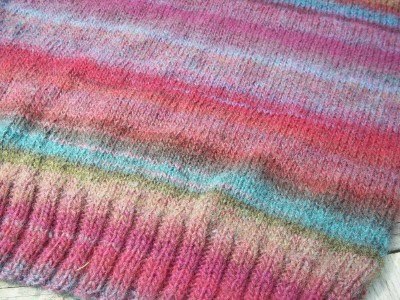 You can knit a million sweaters and feel happy about them but blocking a shawl is like no other feeling-it's that good. I hated them at first but they sort of grew on me. They certainly are...different. 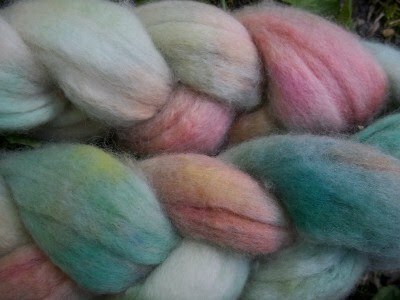 Right now I have the terrible urge to dye another blank. Now I just need to go knit one. 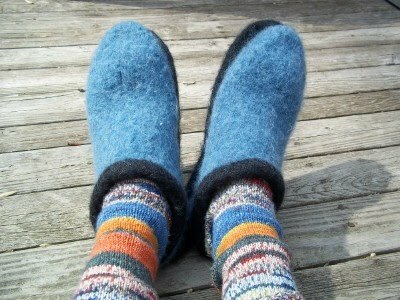 No Knit Night this week due to the anticipation of Spring Break which starts Friday at 3:45 for all my teacher friends. Since I do more talking than knitting on Knit Night, I have been playing catch up at home with the Modern Lodge pullover. The back is done except for casting off. 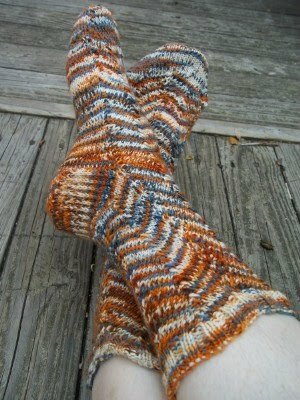 I really like this yarn. The colors are well....amazing. I am sick of cold weather but it's kind of sad that when this is done it will have to be packed away until next winter. Actually, now that I think about it...it probably won't even be done by next winter. My sister must be wondering what happened to her clogs. They were finished ages ago. I could have mailed them to her, but I thought we would be visiting soon so I kept them here. 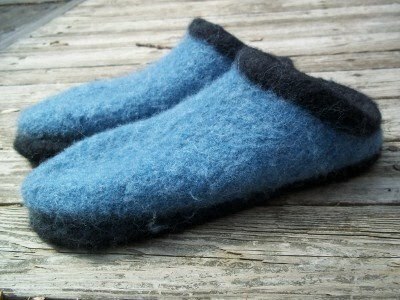 They are pretty comfy but I'm afraid by the time I get them to her, it will be time to pack them up until next winter. While taking the photos I noticed what a good job I did matching up these socks. I have no idea how I managed to figure it out with that strange pattern repeat thingy going on but it looks like I did. Warning: This post contains more information than most people would care to know. Proceed with caution! 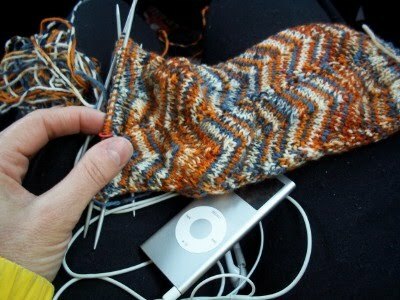 Early Saturday morning, I was happily listening to podcasts and knitting my second Jaywalker in the car when I spilled an entire water bottle into my nether regions. I was drenched and over an hour away from home. Even worse, I had a full day of shopping scheduled and it was cold out. While I was waiting in the car for Daughter and Dad to finish their early morning golf lessons, I used the heat vents to dry my wet clothes. 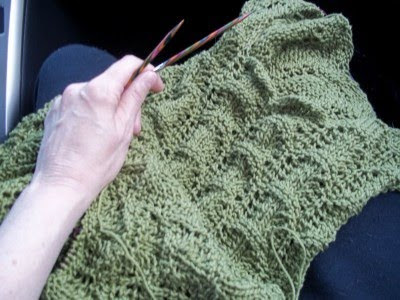 I spent the time in the backseat knitting in the all together. Good thing I keep an extra blanket in the car. Everything dried nicely and no one would ever have been the wiser except I thought it was just too damn funny to keep a secret. 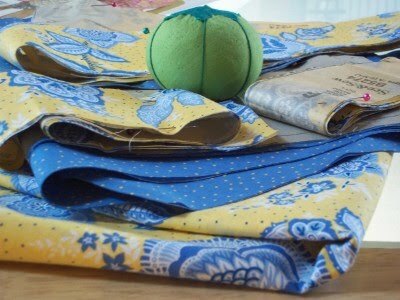 I have searched high and low for fabric to make a spring apron. I wanted something with big flowers reminiscent of a walk through an English country garden. I had to settle for a trip to southern France instead when I came upon this Provence inspired fabric at Walmart of all places. Joanne, you let me down once again. My Crest of the Wave tank top is back into the work queue again after a long hibernation. It looks a little strange at the moment because you work part of one side, join the straps, work down the back and then join the whole thing to finish it in the round. That is much easier said than done. 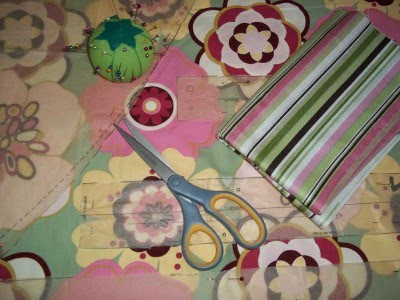 It gave me indigestion to try to follow the directions as written so I had to abandon the pattern at times and just do what makes sense. I was happy to hear that many fellow Ravelers had the same issue. Now as for the size, that's a problem I am not sure how to fix because it really looks like it is going to be too small. Pity.